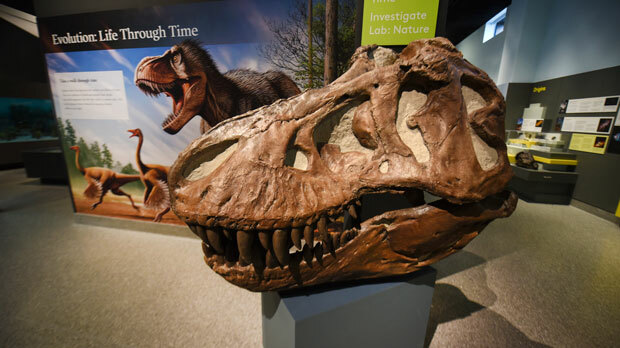 ANN ARBOR, Mich. (AP) — The University of Michigan Museum of Natural History has reopened to the public in its new building. The Ann Arbor school says new exhibits are on display to the public at the museum, which combines natural history with scientific research. The museum, which is part of the university’s College of Literature, Science, and the Arts, closed in December 2017. It moved from its previous home in the Ruthven Building to its current location in the new $261 million Biological Sciences Building. Highlights include a realistic sculptural reconstruction of Australopithecus sediba, an extinct relative of humans, in the museum’s “Evolution: Life Through Time” gallery.